All the latest news and information from the Sci-Fi Ball press room. Headline sponsor, The Horror Channel will be taking over the mezzanine level of the stunning four star Grand Harbour Hotel with a Horror Channel - Sci-Fi Zone. The take-over will comprise of an extra special immersive screening room in the style of Star Trek: The Next Generation’s Holodeck, which will show the best episodes from the Star Trek franchise and will be filled with comfy bean bags and loungers for fans to kick-back and enjoy their favourite episodes together. The West End Production of Dark Sublime, a new play by Michael Dennis, starring Star Trek: The Next Generation’s Marina Sirtis and the voice of The League of Gentlemen/Sherlock/Doctor Who’s Mark Gatiss, are sending mutli-award-winning theatre director Andrew Keates and lead producers Jamie Chapman Dixon and Piers Cottee-Jones to offer talks about their upcoming production at Trafalgar Studios and how science fiction and theatre can influence each other. They will be giving away promotional items, exclusive ticket promotions for Sci-Fi Ball attendees and participating in the event itself. Game Over Retro Games Cafe, Portsmouth are returning to the Ball for a second year. They will bring a selection of retro games and arcade consoles, over-sized floor games and take attendees back in time to the great games of yesteryear. A demonstration team from Asmodee UK will be on site with a variety of wonderful card and board games for all ages! Whether you’re dogfighting amongst the stars in The X-Wing Miniatures Game; exploring the ‘verse in Legendary: Firefly or racing against time to fix your doomed spaceship in The Captain is Dead, there’ll be something for everyone from the inexperienced right through to seasoned gamers. They will be located in the Allerton Suite. 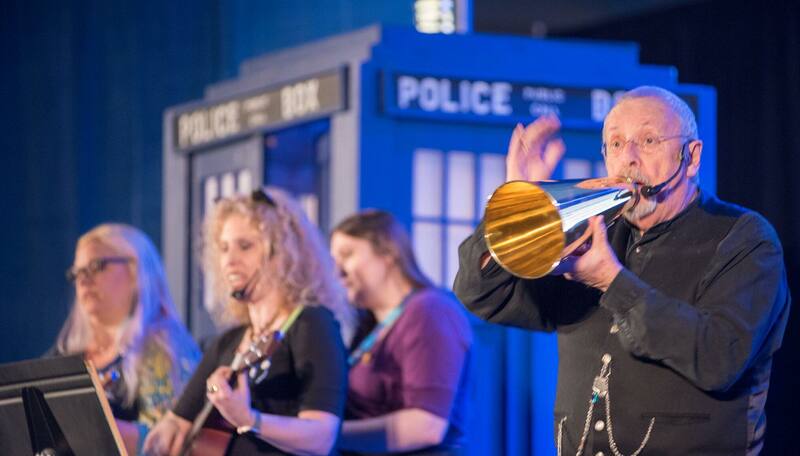 Other activities and exhibits include our army of roaming Daleks, exhibits from the North Somerset Modellers, impressive cosplay from Joker’s Squad, a recreation Star Trek: The Next Generation bridge set (courtesy of the intrepid crew of the USS Riker’s Beard), a life-sized TARDIS and our regular activities, including guest talks with our special guests Robert Duncan McNeill, Terry Molloy, Sean Pertwee, Gigi Edgley, Dino Fetscher and Lucy Carless, autograph signings and professional photography, a sci-fi pub quiz, cocktail party, competitions, games and a party every evening, including our grand banquet and cabaret from Terry Molloy on the Saturday evening. Special thanks are given to the Stan Winston School of Character Arts for donating three of their online courses in special effects make-up, to Moxhams Creative Events, to our media partner Starburst Magazine for all they have been doing promoting the event and donating prizes for our raffle and to White Light - who has been extremely generous, donated all of the lighting for the event entirely free of charge. The Sci-Fi Ball is delighted to announce the UK premiere of science fiction short film Hashtag, produced by Los Angeles-based Runic Films and Little Empire Productions, will screen at the 25th Sci-Fi Ball held at the Grand Harbour Hotel, Southampton from 8 – 10 February 2019 in aid of the Teenage Cancer Trust. Star Gigi Edgley, director/co-writer Ben Alpi, and producer Jyotika Virmani will be offering a special Q&A after the premiere. Hashtag is a thought-provoking short science fiction drama that examines a future where social media dominates our lives and "X" (Edgley), the top online celebrity, finds the true cost of her popularity. The short film also stars Erryn Arkin, and Juliet Landau as the voice of "Te'a". In a looming future where social media celebrities dominate our culture, X is the world’s supreme online icon— but how far must she go to hold on to her popularity? X lives the dream— she's connected, adored, and instantly validated by her hundreds of millions of followers. The ultimate influencer, celebrities like her are all we watch, all we listen to, all we care about. From her high tech studio apartment, X manages a virtual empire with the help of Te’a, an omnipresent artificial intelligence. Every moment of her day is a product bought and sold. With the swipe of her hand, the warmth of her smile, or the turn of her hip, she drives markets, builds brands, and changes minds. She embodies the complete merger of culture and commerce. Yet one thoughtless remark can reveal how fragile her tower of public adoration really is. As X struggles to sustain her popularity, a corrupting virus invades her regulated existence and forces her to question her reality. When her perfect life is threatened, how can X know what's true, what's fake, and whether or not everything she's built will collapse? The screening will take place on Sunday 10 February 2019 at 1pm - the third day of the event and after the UK premiere, special guests Gigi Edgley, Ben Alpi, and Jyotika Virmani will discuss their short film and answer questions from attendees. Founder of the Sci-Fi Ball, Anne Lindup comments, "In our 25th year of raising money for charitable causes by celebrating Sci-Fi, we are delighted to offer our first UK premiere of such a remarkable science fiction short. Furthermore, it feels like we're supporting our own family as host of the Sci-Fi Ball, Brett Jones worked on the film as a concept artist. Whilst we have a long history and association with sci-fi of the past, we are always looking to champion new futuristic tales that address vital issues of today". For more information about Hashtag visit http://runicfilms.com/hashtag and to attend Sci-Fi Ball 25, please visit www.scifiball.com. Tickets are available from only £15 and the event is suitable for the whole family to enjoy. The Sci-Fi Ball is delighted to announce Gigi Edgley as the latest Sci-Fi star to attend the 25th annual Science Fiction convention at the Grand Harbour Hotel, Southampton from 8 – 10 February 2019 in aid of the vital work of the Teenage Cancer Trust. Gigi is an actress originally from Australia. She starred in Feud, The Starter Wife, Enuattii: Face off Designer's latest feature, Diminuendo, Rescue Special Ops, Tricky Business, Showdown at Area 51, Quantum Apocalypse, Carlotta, Newcastle, Black Jack, Peacekeeper Wars, Stingers, Secret Life Of Us, Beastmaster, Lost World, Water Rats, Day of The Roses, Star Trek Continues and Nexus. Additionally Gigi has an extensive history with The Jim Henson Company beginning with her popular role as Chiana on the company’s critically acclaimed Sci-Fi cult series, Farscape in which she starred for over five years. She was originally cast as a guest star for one episode, but quickly captured the attention of the Farscape writers, producers and the fans alike. The mischievous Chiana became one of the most popular, and at times controversial characters in the series. The SyFy Channel and The Jim Henson Company also asked her to host Jim Henson’s Creature Shop Challenge. She has a long list of theatre credits including Kill Everything You Love, 4.48 Psychosis, The Rover, Boy’s Life, Romeo And Juliet, Road, Picnic At Hanging Rock and Les Miserables. She also sung at Stan Lee's Birthday and was selected for the Women of Sci-Fi book by Denny's Illic. She is a recording artist, creator of original comic books, director and producer. She earned a Bachelor of Arts degree from the Queensland University of Technology after entering in the auditions alongside hundreds of other candidates. Gigi Edgley will be appearing throughout the whole weekend, offering attendees the opportunity to have their photograph taken with her, autographs, guest talks, attending the Friday night cocktail party, Saturday night grand banquet and has offered to do some special fundraising activities throughout the weekend too. Other special guests attending the Southampton Sci-Fi weekend include Robert Duncan McNeill, Sean Pertwee, Andrew Lee Potts, Dino Fetscher, Lucy Carless and Terry Molloy with further guests yet to be announced. The not-for-profit convention brings together fans of Science Fiction and Fantasy to ensure they have a truly out of this world weekend. It offers activities for the whole family to enjoy during the day and evening, including specially-themed parties every night, a grand banquet with live cabaret from Terry Molloy, an exclusive cocktail party with enormous chocolate fountains, guest panels with stars of both the small and silver screen, fan-built/actual props and sets, autograph and photography sessions, roaming Daleks, cosplay/fancy dress competitions, table-top gaming, exhibits and games, out of this world collectable merchandise, a Sci-Fi pub quiz and so much more that is soon to be announced. 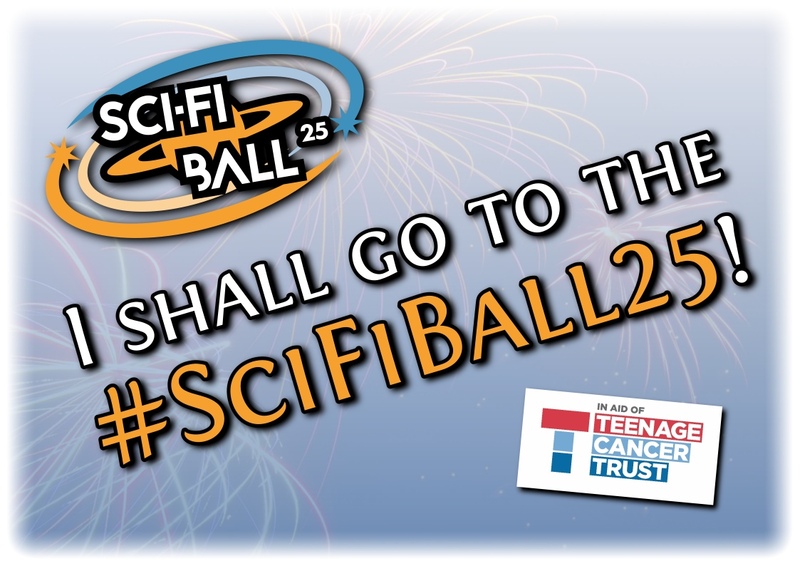 The Sci-Fi Ball takes place from 8 – 10 February 2019 at the stunning four-star Grand Harbour Hotel, Southampton in aid of the Teenage Cancer Trust and will see the event celebrate twenty-five years of raising money for charitable causes. It is proudly sponsored by The Horror Channel, Starburst Magazine, Game Over, White Light and other partners. 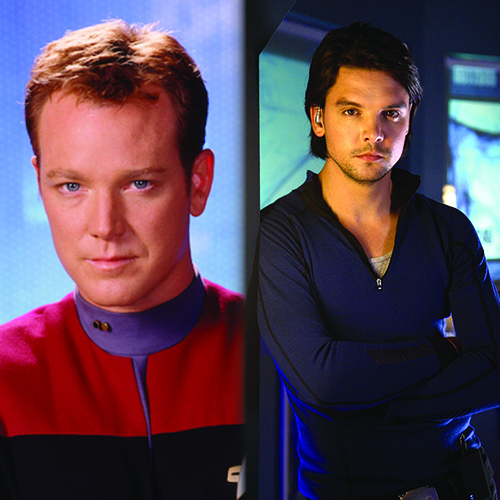 The Sci-Fi Ball is delighted to announce Robert Duncan McNeill and Andrew Lee Potts as their latest special guests to attend the 25th annual Science Fiction convention at the Grand Harbour Hotel, Southampton from 8 – 10 February 2019 in aid of the Teenage Cancer Trust. Robert Duncan McNeill enjoyed early success as a professional actor when he got the role of Charlie Brent on the popular ABC daytime drama All My Children and starred in the feature film Masters of the Universe. He also starred in an acclaimed episode of the 1980’s version of The Twilight Zone. After he left All My Children, he landed a role in Stephen Sondheim’s Broadway musical Into the Woods. His theatre background also includes performances in the Broadway production of Six Degrees of Separation with Stockard Channing, Romeo and Juliet, The Family of Mann and The Four-H Club. After returning to Los Angeles to pursue roles on television, he has appeared in featured guest roles on numerous TV shows and movies – including L.A. Law, Murder, She Wrote, The Outer Limits and Crossing Jordan, among others. Star Trek fans will remember his guest role as Nick Locarno in the Star Trek: The Next Generation episode The First Duty. In 1995, he became a series regular on Star Trek: Voyager, portraying the character of Tom Paris. Robert began his directing career with several episodes of Star Trek: Voyager. He then wrote, produced and directed two short films, 9mm of Love and award-winning The Battery. Afterwards, he moved on to directing on numerous TV shows, helming countless episodes of Dawson’s Creek, One Tree Hill, Las Vegas, Supernatural, V, White Collar, The Mentalist, Desperate Housewives and Warehouse 13. In 2007, he signed on as a producer-director of NBC’s Chuck, where he became the Executive Producer in later seasons. Most recently, he worked as Executive Producer on Bravo’s critically acclaimed, first original scripted series, Girlfriend’s Guide to Divorce. Andrew Lee Potts is an English actor and director. He is best known for his role as the quirky dinosaur hunting Connor Temple on 6 seasons of ITV’s British Science Fiction programme Primeval and The Mad Hatter on the SyFy’s mini-series Alice. He is now a veteran TV actor and has been in a catalogue of some of the best in British and American television. He is a series regular on the long-running programme Ideal and Channel 4’s The Mill. Jackson in Steven Spielberg’s Band Of Brothers and most recently, roles in the late Stan Lee’s Lucky Man for Sky One and new Netflix original, the supernatural show The Innocents with Guy Pearce. Both actors will be appearing throughout the whole weekend, offering attendees the opportunity to have their photograph taken with them, autographs, guest talks and attending the Friday Night cocktail party and Saturday night grand banquet. Other special guests attending the Southampton Sci-Fi weekend include Sean Pertwee (Alfred Pennyworth in Gotham and son of late Doctor Who actor Sean Pertwee), Dino Fetscher (Stanley the synth) and Lucy Carless (Mattie Hawkins) from the recent critically acclaimed season of Channel 4’s series Humans and Terry Molloy (Davros in the classic series of Doctor Who) with further guests to be announced. The not-for-profit convention brings together fans of Science Fiction and Fantasy toensure they have a truly out of this world weekend. It offers activities for the whole family to enjoy during the day and evening, including specially-themed parties every night, a grand banquet with live cabaret from Terry Molloy, an exclusive cocktail party with enormous chocolate fountains, guest panels with stars of both the small and silver screen, fan-built/actual props and sets, autograph and photography sessions, roaming Daleks, cosplay/fancy dress competitions, table-top gaming, exhibits and games, out of this world collectable merchandise, a Sci-Fi pub quiz and so much more that is soon to be announced. Visit our guests page for full biographies and other special guests. 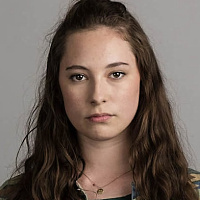 The Sci-Fi Ball is thrilled to announce that Lucy Carless will attend Sci-Fi Ball 25 at the Grand Harbour Hotel, Southampton from 8 – 10 February 2019 in aid of the Teenage Cancer Trust. Other special guests attending the Southampton Sci-Fi weekend include Sean Pertwee, who plays Alfred in Gotham and Terry Molloy, who played Davros in the classic series of Doctor Who. More special guests are soon to be announced. 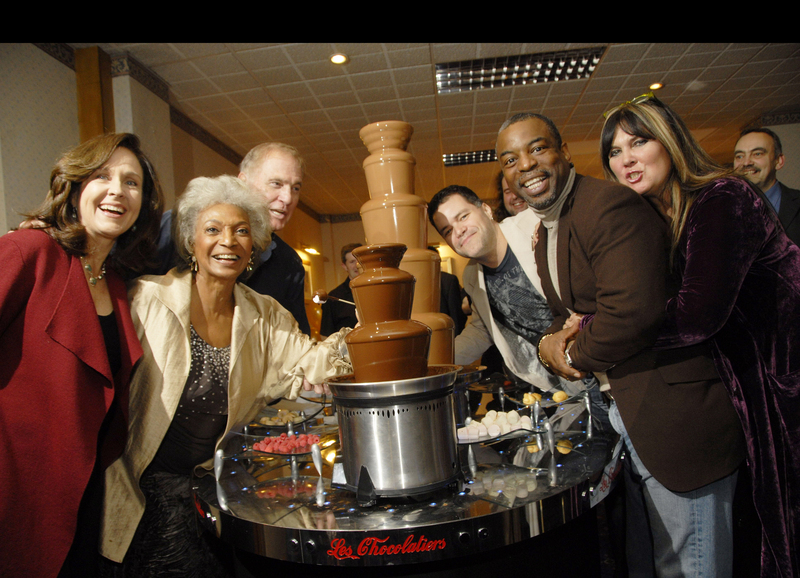 Visit www.scifiball.com for more information. Tickets are available from just £15. 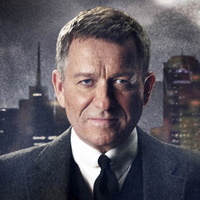 Gotham's Sean Pertwee will attend Sci-Fi Ball 25. The Sci-Fi Ball is delighted to announce Sean Pertwee as our latest guest to attend Sci-Fi Ball 25. He will be appearing on Saturday and Sunday of our three day weekend, offering attendees the opportunity to have their photograph taken with him, autographs, guest talks and attending the Saturday night grand banquet. Other special guests attending the Southampton Sci-Fi weekend include Dino Fetscher, who played Stanley the synth in the recent critically acclaimed season of Channel 4’s series Humans and Terry Molloy, who played Davros in the classic series of Doctor Who. Many more guests are soon to be announced. 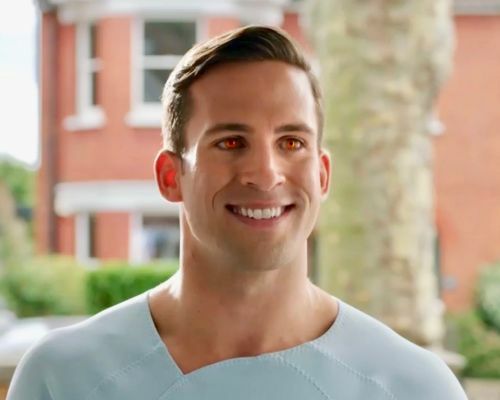 Dino Fetscher is a Welsh actor who many will recognise from the brand new series of Channel 4's Humans. Dino plays Stanley - the first major 'Orange Eyed' synth, who is tasked with looking after Laura (Katherine Parkinson) after she has her first meeting with the Dryden Commission. It's taken a lot of hard work, however the Sci-Fi Ball is delighted to share with you our shiny new website. Many thanks to Karen and Sean Douch of Rendili - Web and Mobile Development for all of their hardwork adding every bell and whistle they could find whilst ensuring a much better user experience for our customers. 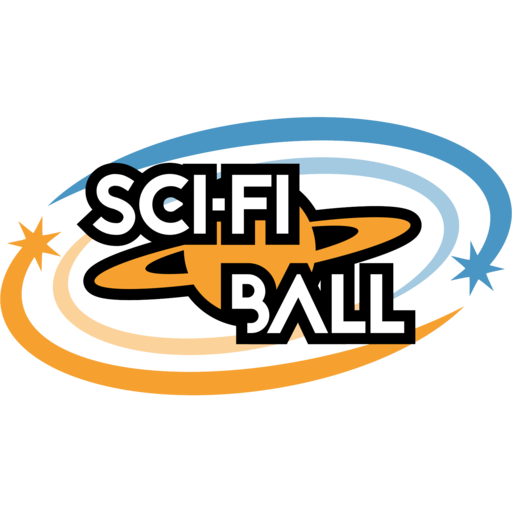 There will be many updates over the next few months, including uploading our 25 year history of the convention, new events and guests announcments so make sure you keep checking back to discover all things Sci-Fi Ball.